Reusable Fuel-Tester with rubber stopper in protective bubble bag. Reusable Fuel-Tester with copper stand in protective bubble bag. Includes rubber stopper. Copper fuel tester stand permits easy hands-free testing and display of fuel-tester (test tube). - ORDER Individual Copper Stand - For fuel-tester/test tube. Heavyweight, solid copper fuel tester stand permits easy hands-free testing and display of fuel-tester (test tube). Another exclusive product available only from Fuel-Testers Company. Product Code: QCS15 15ml = approx. 450 drops/tests. List Price: $14.95 ea. SALE PRICE: $11.95 ea. 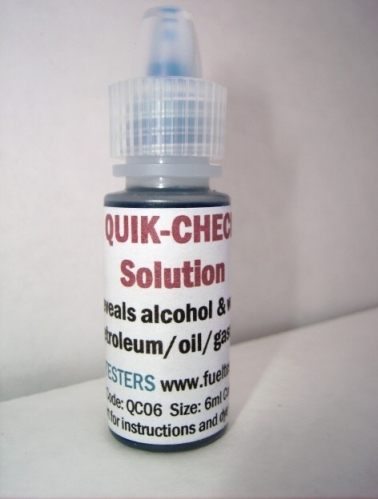 QCS is for use with fuel-tester (complete test kit) and/or can be used alone to verify gasoline is ethanol and water-free. (EG. Marine, Aircraft, Diesel and other specialty type fuels). Note: Even very small amounts of alcohol and water in tank will reveal a positive result. Very helpful to quickly check at gas pump, to avoid purchase of contaminated gasoline. 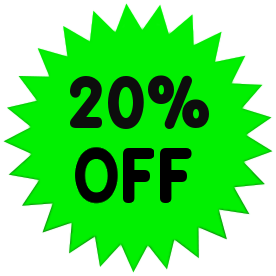 We recommend purchase of the fuel-tester with QCS, so that when results are positive, transferring fuel sample to tester will reveal alcohol percent - If 0% reading you know positive result is due to water; If tester reveals alcohol (2%, 5%, 10% etc.) most likely the quik-check positive is due to alcohol (can be due to both alcohol and water). When fuel is contaminated with water it always will appear cloudy/hazy (not clear) and may also be phase-separated (2 or 3 distinct separate) layers on visualization. * Exclusive product created by Fuel-Testers Company in 2006. Not available in retail stores. Beware of imitations that are ususally just a bottle of cheap food coloring dye. 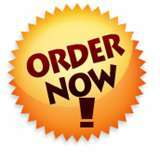 VIEW MAIN ORDER PAGE, for Complete Test Kits. AFTK (Alcohol Fuel Test Kit) includes fuel-tester, quik-check solution (QCS), dispenser bottle, gloves and more. AFTK06: Complete kit includes 6ml bottle size QCS - Does not include tester stand. AFTK-D: Complete "DELUXE" test kit includes fuel-tester, quik-check solution, dispenser bottle, gloves, copper tester stand and larger 15ml bottle of QCS. to determine if gas at the pump and/or in your gas tank is safe. 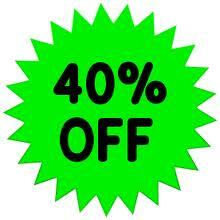 NOTE: We offer volume discounts everyday - Request complete product price list. Copyright 2006-2018 - Website contents cannot be copied or reproduced without permission. Contact Us. Determines if gas contains any ethanol alcohol and reveals the exact percentage. 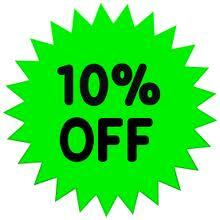 VOLUME DISCOUNTS - SAVE 10-30% off list price, when you order 2 or more test kits. Copper tester stand and more. 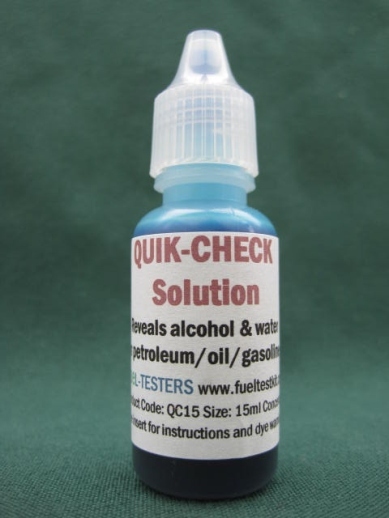 Quik-Check™ indicator solution 15ml = 450 drops/tests. Instantly reveals alcohol and water in fuel. Kits are available with or without our exclusive Quik-Check™ Indicator Solution (QCS). Fuel tester is re-useable and will last a lifetime. Made from hard plastic, with permanent markings etched into test tube. Or email us for a credit card invoice. Credit card orders are also accepted by phone.